The BMS PTO would like to invite you to participate in an exciting fundraiser with Belk. 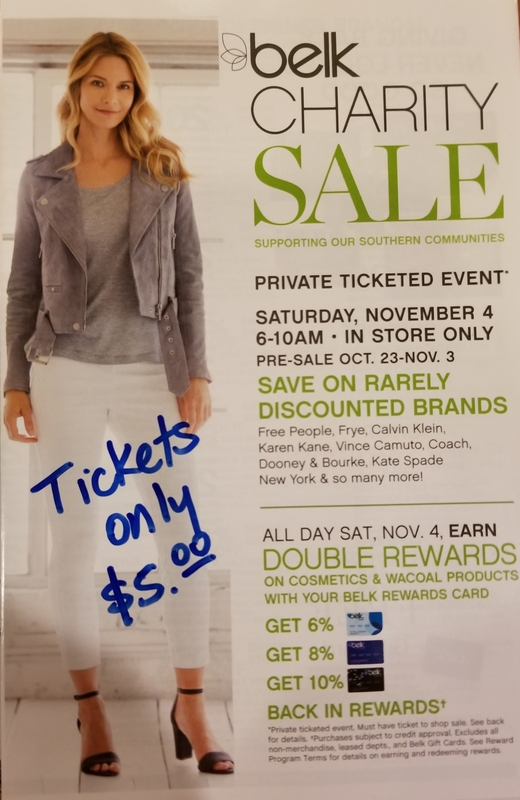 With the purchase of a $5 ticket between now and November 3rd, you will be able to shop at a special sale event on November 4th only offered to customers that purchase tickets. In addition, you will receive $5 off a single item during the sale event. 100% of the proceeds will go to the BMS PTO. See the attached flyer for more information, and contact Kristy Hudson (hokiesmile@nullgmail.com) to purchase your tickets.